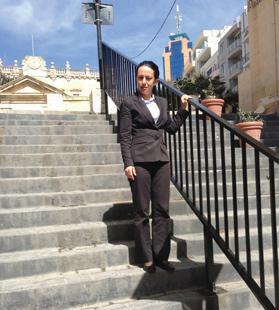 After months without a banister because the former one rusted away, the St Julian’s council installed a new banister along the steps of Spinola Palace leading down to Spinola Bay. This area is heavily frequented by locals and tourists alike. As the attached images indicate, this new banister is out of proportion and looks more like a barrier than a banister. The normal height for a banister should be 90cm, this one is 1.3cm. This construction is hideous and the comments of persons who frequent this popular area have all been negative; tourists in particular ridicule it. Unfortunately Spinola Bay and St Julian’s have been neglected in the past years and even when minor projects are done these are done haphazardly and without consultation as this banister/barrier demonstrates.